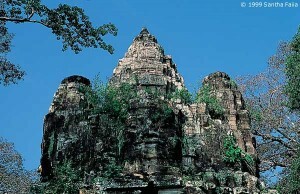 The atmospheric remains of Ta Prohm. 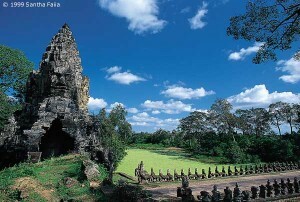 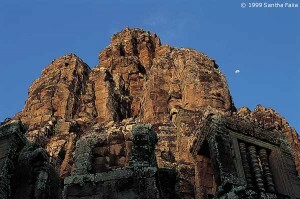 One of the 54 stone towers of the Bayon, each with four faces of Lokesvara. Southern gateway, Angkor Thom, and Naga balustrade. 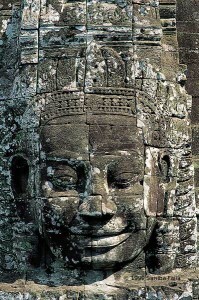 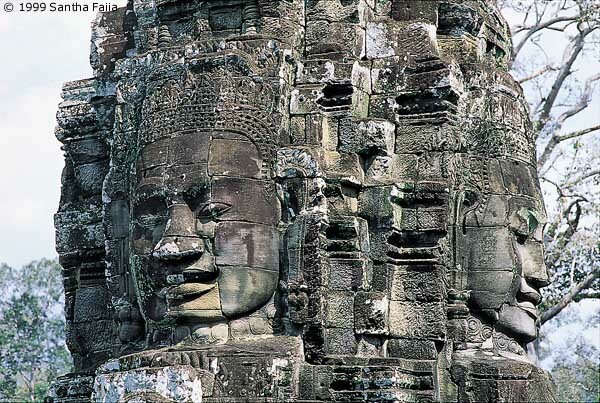 Giant faces of the Bodhisattva Lokesvara, gazing towards the cardinal directions, southern entrance gate, Angkor Thom. 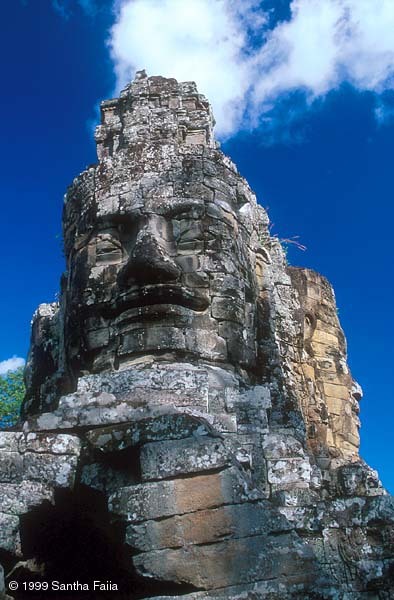 Though the surroundings are very different, it has been claimed that certain giant works of sculpture at Angkor resemble the face of the Sphinx or the Colossi of Abu Simbel. 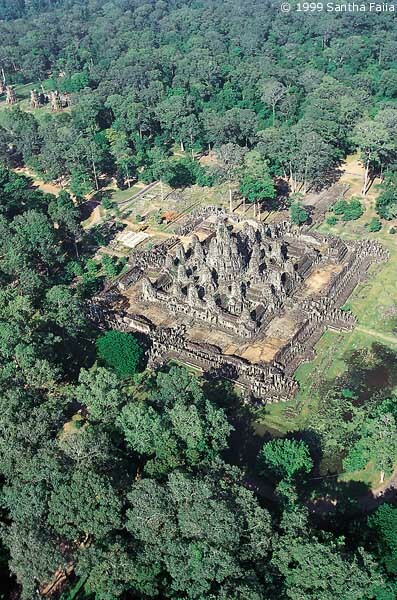 The Bayon with its 54 stone towers each surmounted by 4 faces of the Boddhisatva Lokeshvara was conceived by its builders as a symbolic diagram of the universe.